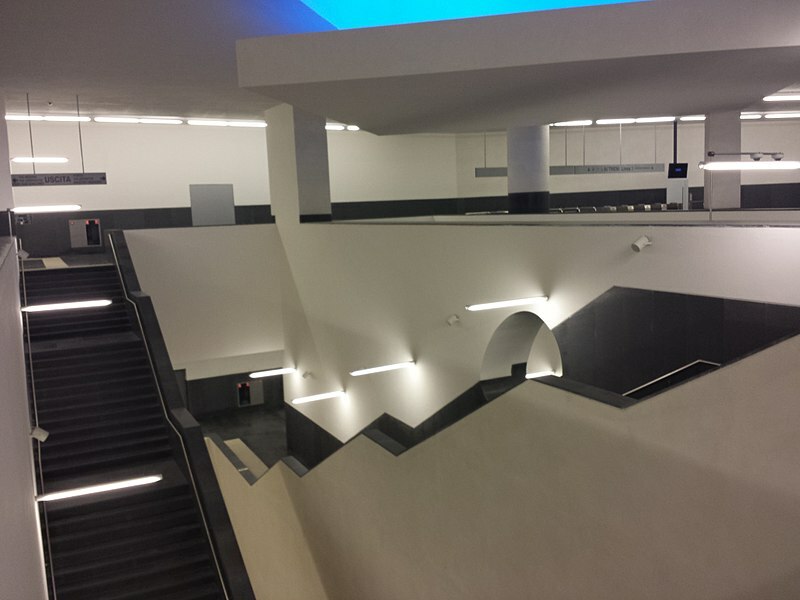 Municipio station is one of the line 1 stations of the Naples Metro. This station is also going to be a stop of line 6, currently under construction. As Garibaldi, Università, Toledo and many others, also Municipio is one of the art stations of Naples. In fact, it was designed by Alvaro Siza and Eduardo Souto de Moura. The station owes its name to its proximity to the city’s town hall and to the large square also called the Municipio (“town hall” in Italian). The Municipio station has many entrances and it is close to lots of monuments. First, it is very close to two castles of Naples: the MaschioAngioino, in the immediate neighbourhoods, and Castel Nuovo, not far away. During the works for the construction of the station several archaeological finds has been found. In fact, one of the exits of the station is near the archaeological area. Some of this findings are exposed in the Naples Metro museum at the Naples Metro stop “Museo”. From the Municipio station you can choose the exit in via Medina, via Depretis, Piazza Municipio and Stazione Marittima (i.e. one of the touristic port of the city). From this stop it is possible to reach, besides the castles and the port, other historical monuments like the Umberto I Gallery. This is the Neapolitan version of the French passages, iron and glass structures used as a cover for shopping areas. The Umberto gallery presents sculptural reliefs and decorations. If you cross the Umberto I gallery you arrive near Piazza Plebiscito, one of the main squares and landmarks of Naples. In Piazza Plebiscito there is another building of historical and architectural relief: the royal palace of the city. From Municipio square you can reach two historical theatres too. The most important is the RoyalTheatre of San Carlo, where you can also join guided tours organized specifically for people from all the world. The other historical theatre in the immediate vicinity is the Mercadante, also known as Teatro del Fondo. Along with the San Carlo, the Mercadante was one of the two royal opera houses of the 18th and 19th centuries. Discover details about the other art stations reading the BookingNaples Free Guide!